The storage market isn’t known for flair, flashy or exciting product launches. It seems like every day a new drive is hitting the scene trying to distinguish itself from the competition, but in doing so just adds to the “noise” that consumers have to filter through in order to find the drive that will fit their individual needs. There is however, one storage drive line that has bucked the trend over the years and managed to create noticeable separation between itself and its contenders/pretenders, and that is Western Digital’s VelociRaptor line. Prior to SSD’s hitting mainstream, the VelociRaptor line, with its 10,000 RPM spindle speed, was “the” pinnacle of performance and was the defacto choice for anyone that put performance before price. Fast forward to present day, where widespread competition is making SSD drives more and more affordable, the VelociRaptor line isn’t enjoying the same V.I.P treatment from enthusiasts it once used too. 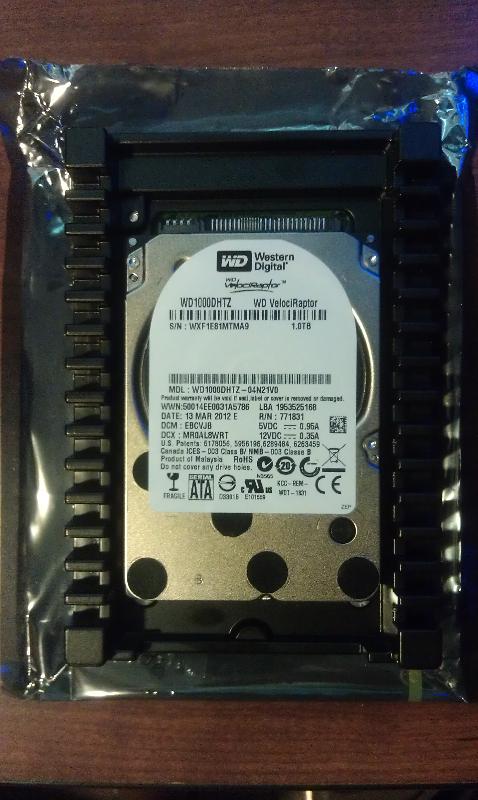 In an effort to keep the VelociRaptor line current and relevant, Western Digital has released the 3rd generation of the VelociRaptor line (6th generation Raptor). With this generation, Western Digital has doubled the cache size to 64MB, offers 250GB, 500GB, and 1TB capacity options, and incorporates Advanced Format Technology (4k sector size/512b emulation). 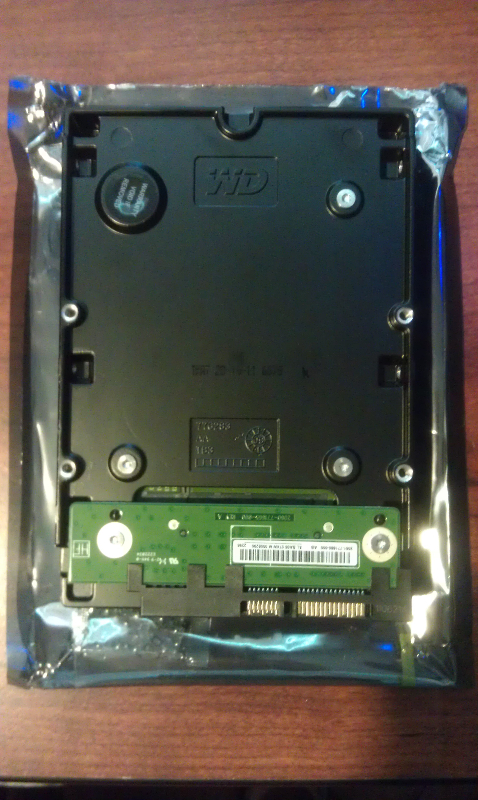 The WD1000DHTZ retains the 10,000RPM spindle speed and the 2.5” form factor installed in a 3.5” adapter (that doubles as a heat sink) of the previous generation. For more historical comparisons, I encourage you to visit the Western Digital Raptor Wiki page. Going into this review I wanted to try and put myself in the consumer’s shoes and use my personal rig as a test platform to try and represent a “real world” setup to see where this new VelociRaptor drive fit. In my system, I have the standard SSD and HDD setup that is becoming more the norm as enthusiasts straddle the spinning and solid state media fence trying to enjoy the “best of both worlds”. One of the Samsung 830 SSD drives is used for the primary boot drive, and the other is used primarily for gaming installations. The two WD1500AHFD are older 3rd generation Raptor drives in a RAID 0 that used to be my gaming volume but it is now used for raw storage. I have personally always been a big fan of Raptor drives, and that’s why I still use these older ones today. So I was excited to give this new VelocRaptor drive a spin (shameful pun), and see where it fit in my setup…and why it may appeal to me as a consumer. 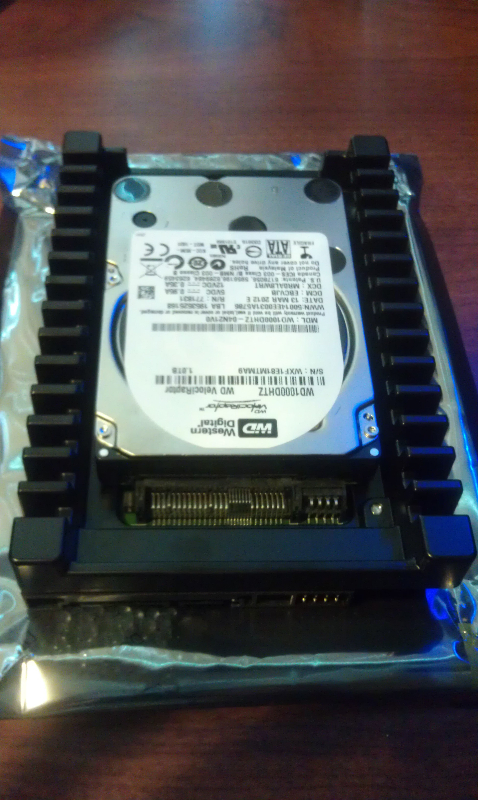 While I agree its hard to find the exact spot this drive fits into, Its still a good buy for somone that needs performance and plenty of room. SSD’s are still way too expensive if you need a TB of performance room. My next rig will have a pair of these in raid 0, along with a SSD as the primary windows drive. Yes, there is still a “sweet spot” for these drives and you put it nicely when you say performance TB. Anyone looking for high performance in capacities that exceed SSDs (limited architecturally or by price), should seriously consider these new Raptor drives.